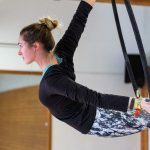 This fundamentals course is for those completely new to Aerial Hoop. 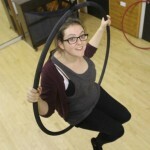 The course will provide an introduction to Aerial Dancing and Aerial Hoop technique. 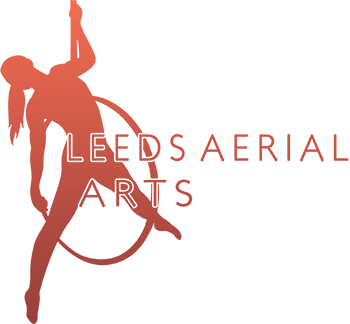 Within the six week course you will learn the basic mounts and dismounts, static poses and basic rolls in a unique, full body workout! Our instructors are highly experienced and welcoming, we tailor all of our classes to the needs of the group and all abilities. You do not need to have great upper body strength to begin with as you will gain it along the way! 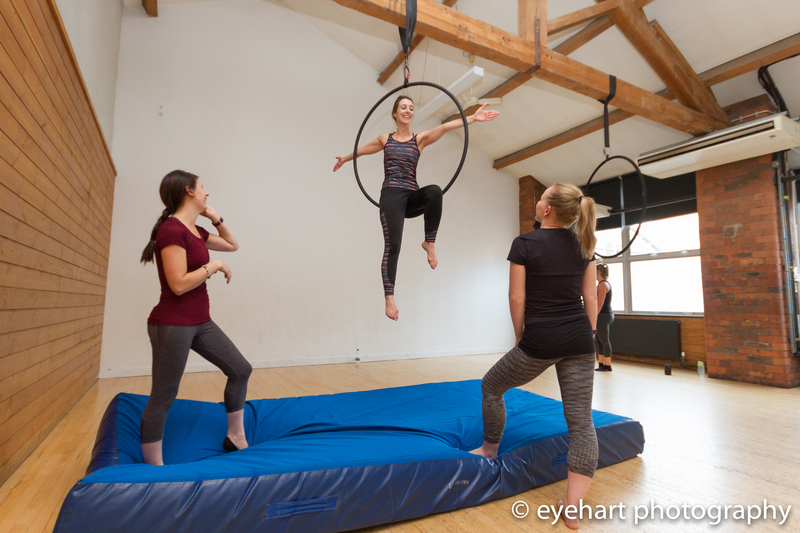 Book your place on our next course HERE This course will be held at Leeds Aerial Arts Studio, Studio 2, Cross York St.Udios, LS2 7BL. 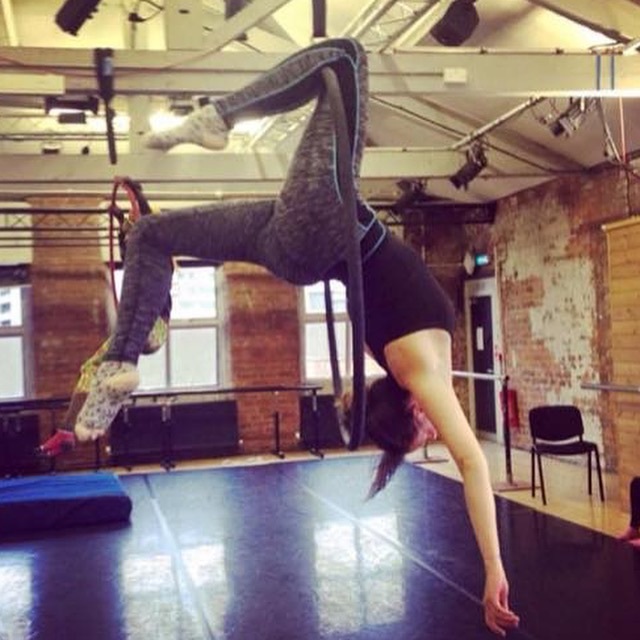 Beginners/Improvers - For those with some experience of the Aerial Arts or good upper body strength. This group will progress on from the six week course content to more challenging dynamic moves and begin to combine movements in short sequences. Thinks touched upon on the course will also be developed into more depth. 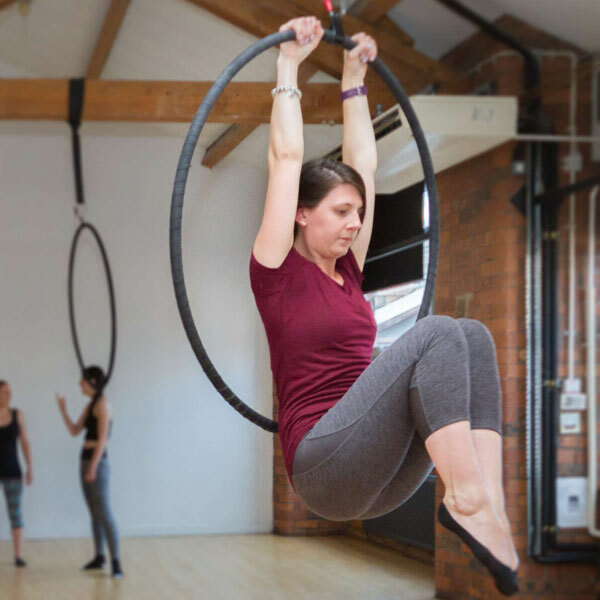 Intermediate - For those with previous experience of Aerial Hoop and good upper body strength, you should now be confident inverting and working on the top of the hoop. This class will combine static and dynamic movements in more complex sequences, challenging strength and flexibility in order to perform more challenging routines! 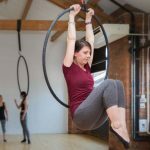 Advanced Level - For those with over 1 year of Aerial Hoop experience, the ability to confidently invert, work on the top bar, and work on the equipment for longer periods of time. Within this class you will cover more challenging conditioning exercises and flexibility moves to improve overall strength and flexibility. 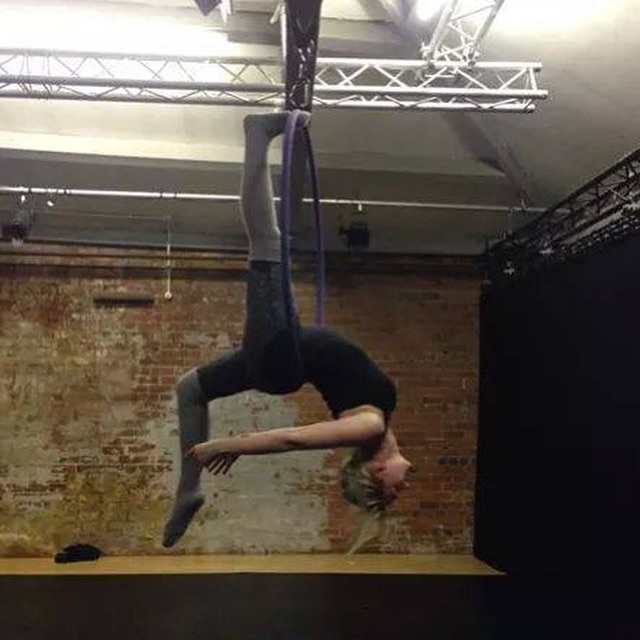 This group cover more complex sequences, including forward and backwards rolls on the hoop and drops!